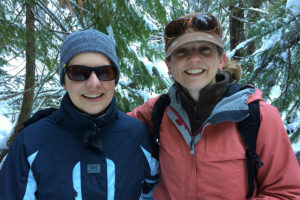 Every winter, there’s inevitably a handful of incidents that befall hikers and backcountry travelers. Just last weekend, a group of hikers in Southern California had to be rescued when they slid off trail into an ice chute. Two of them suffered serious injuries and one perished (story here). Unfortunately, Mother Nature is not always kind to winter hikers, so vigilance to safety is key when adventuring in snowy mountains. As we’ve only reached winter’s midpoint, most of Oregon and Washington’s Cascade Range will remain under a blanket of winter white for a while longer. And with snow levels currently above average—some up to 160%—we could be in for an extended period of winter trail conditions that may last well into spring. As such, we thought this would be a good time to review a few safety tips for hiking in winter conditions. WEATHER: You don’t want to get surprised by a winter storm. Visit NOAA and search for the town nearest your hiking destination, then pinpoint the exact area you want to visit on the map. 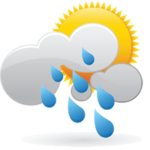 You can get the weather and temperature forecast for the current day, and up to five days in advance. This can give you a heads-up about any threatening weather that may be on the horizon. 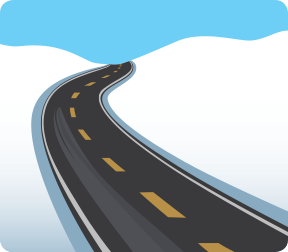 ROADS: Make sure that your winter playground of choice is accessible, and if there are any road or driving restrictions. Many forest roads are not maintained through the winter months, and travel on them is not advisable. Visit the ODOT TripCheck page to get updated info on winter road conditions, closures and chain/traction tire requirements. TRAILS: Call the local Forest Service district offices for current trail and Sno-Park conditions. You can also visit the Forest Service website and search for the forest you would like to visit. Once you find the forest page, click on Alerts and Notices for the most recent updates. You can find a list of links and phone numbers for Oregon’s forests HERE. SNOW: Going for a romp in the woods right after a snowfall is enticing, but there are inherent dangers in venturing out in fresh snow—namely avalanches and hidden tree wells. The NWAC provides updates and forecasts on snow conditions in the Mount Hood area, and the COAA provides information on the Three Sisters, Diamond Peak and Mount Jefferson areas. You can also find limited winter conditions updates on trails and roads near the PCT HERE. When heading out into the winter woods, daytime temps can often be at or below freezing—even on sunny days. You want to make sure you stay warm, so that means bundling up. The best way to do this is by employing a layering system. Dress in layers to stay warm while winter hiking. Start with a breathable mid- to heavyweight baselayer. Synthetic or wool layers are the best for their moisture-wicking properties. This helps your sweat evaporate so you don’t get chilled in a wet shirt. Next, add an insulating layer. Puffy (down or synthetic) jackets are good for their light weight. You can also use fleece or wool sweaters. Jackets and sweaters with zip-fronts are ideal midlayers as you can zip up or down as you heat up during your activity. Top it off with a weatherproof layer, such as a parka or shell jacket. This will help prevent you from catching a chill from winter winds and keep you dry in rain and falling snow. Select a jacket with venting features (e.g., pockets or pit zips) so you can regulate your temperature as needed. The same goes for your bottom half. Wear a pair of mid- to heavyweight leggings underneath a pair of soft-shell pants. Pants with a water-resistant coating (e.g., DWR) will help keep your legs dry, and venting zips will help you manage your temperature. You can also opt for puffy (down) pants, but you may get overheated in these if you plan on strenuous winter activity. Remember, your body heat escapes through your extremities—head, hands, feet—so don’t forget to accessorize. Wear breathable, mid- to heavyweight socks (if you get extra-cold feet, consider adding a sock liner), wool or fleece gloves to keep your digits warm, and a took (beanie) on your noggin. Pack along an insulated bottle for hot drinks or soup! Daylight is short in the Northwest’s winter months. Be sure to carry a flashlight and/or headlamp in case you wind up having to hoof it back to your car in the dark. It’s a good idea to carry extra batteries also. In case you need to start a fire to warm yourself or melt snow for drinking water, carry a lighter or waterproof matches. Keep an extra layer of insulating clothing in your pack, and an extra pair of dry socks, in case you get wet or if a storm blows in and temps plummet. And pack along extra food, as winter activity in snow and cold can be exhausting. You can keep up your energy with extra snacks—and be prepared for any unforeseen contingencies. And don’t forget your sun protection. Wear sunglasses or snow goggles to prevent snow blindness (even on cloudy days), and use sunscreen to keep from getting burned by the sun—and its reflection off of snow. Additionally, keep a few extra essentials in your vehicle as well. Pack along some extra snacks and bottles of water. You may even want to keep a small stove in your car (remember the fuel!) so you can make hot drinks or soup. And toss a blanket or sleeping bag in there too, just in case you return super-chilled and need to warm up. 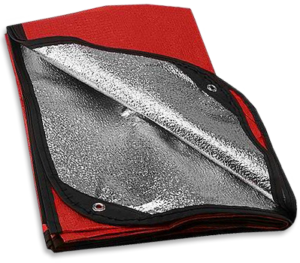 Under the category of emergency shelter, I love my Space Blanket, and I never hike without it. I’ve used it as a shelter in snowstorms, as a poncho in the rain, as a tarp to shade my tent, as a footprint under my tent, as a seat pad on rocks and snow, as a picnic blanket, and as a thermal blanket on freezing nights. There’s a million uses for this thing, and it’s totally worth the few bucks and half pound in my pack. When hiking in summertime, trails are easy to see and following them is pretty effortless. In the wintertime, when trails are covered in snow it can be a whole different ballgame. That’s when you need to rely on good navigation and route-finding skills to ensure that you’re staying on the correct path. Go Where You Know – If you’re unfamiliar with hiking and navigating in winter conditions, it’s best to choose a hiking destination that you’re familiar with, such as a trail that you’ve hiked in normal summer conditions. Choose trails in the easy to moderate range and avoid difficult trails with big elevation variances. A challenging trail in summer can be a nightmare in winter. Another option is to choose a location that is popular with other winter hikers, such as a Sno-Park or other well-known winter trail destination. 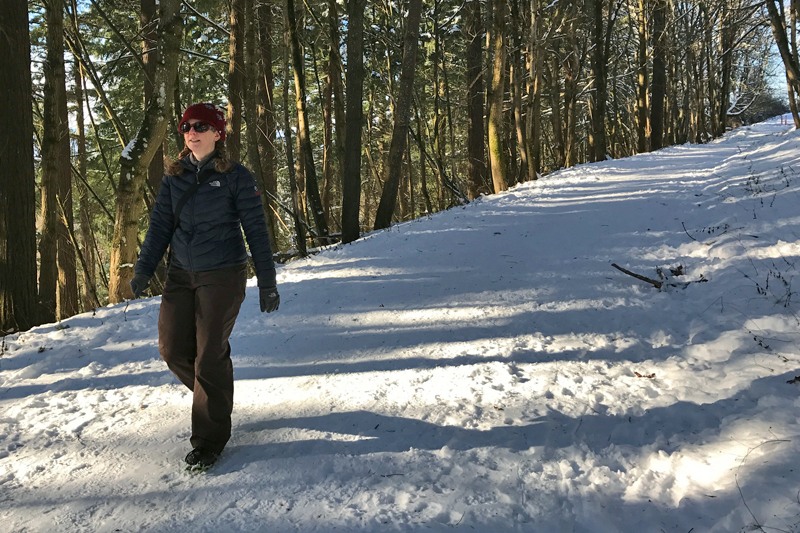 Popular winter locations often have good parking, signed and easily navigable hiking routes, and plenty of fellow hikers around which makes it harder to get lost or have an incident. 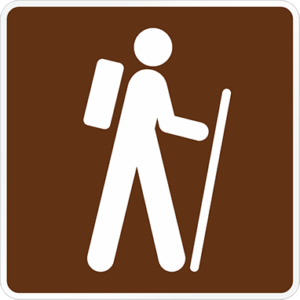 Trail Markers: If you’re hiking on the PCT, you can watch for PCT emblems and blazes. The modern ones are triangular with a black tree and white mountains on a teal background; older PCT markers are diamond-shaped with a green tree. You may also see plain blue or silver diamond markers. These often identify established trail and snow routes. Tree Blazes: In lieu of markers, you can also look for notches in trees. 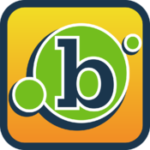 These are called blazes, and they’re often in the shape of a vertical bar or what looks like a lowercase “i”. Log-outs: Another telltale indicator of a trail in a forested area are log-outs. This is where a section of a fallen tree was cut out where it fell across a trail. The easiest way to identify a log-out is where two parts of a fallen tree face each other with a “gate” or “notch” cut out of the middle. Use Traction Devices – Hiking on snow is the same as, well, hiking on ice—it’s slippery. It’s especially slippery on hard-packed snow. Conversely, hiking on fresh, powdery snow can be exhausting when you’re sinking up to your knees with every step. This is where adding some extra snow traction to your boots can ease your passage and make your winter outing more enjoyable and less strenuous. Wear traction devices or snowshoes on snowy and icy trails for some extra non-slip grip. Traction Devices: Items such as YakTrax and STABILicers are like tire chains for your feet. They’re easy to use, are good on most snowy and moderately icy surfaces, and are fairly inexpensive. They often employ a web of coiled cable or metal studs that fit onto your boot sole for added traction. These are good for general winter walking on easy to moderate snowy trails. 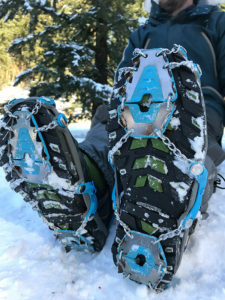 Crampons: These go a step beyond general traction devices by putting metal spikes on the bottom of your boots for traveling over hard-packed, icy surfaces. Microspikes attach to your boots via a web or strap system and are good for moderate to difficult trails. Crampons are for technical alpine travel, such as on glaciers and icy snowfields, and are usually designed to work with heavy mountaineering boots. Snowshoes: With their big platforms on your feet, these are the ideal accessory for traveling on soft and powdery snow. Snowshoes attach easily to most hiking boots with a strap system or simple ratchet binding. Most also employ a partial crampon under the pivoting sole plate for walking on harder surfaces. Purchasing snowshoes can be spendy, but many winter gear shops rent them for reasonable daily rates. Snowshoer enjoying a bluebird day at Mt. Hood’s White River Sno-Park. As with most things in life, successes and failures are often dependent on a combination of skill and effort. Thankfully, recreational winter hiking (we’re not talking technical alpine travel) requires little skill and only moderate effort. This means that it can be enjoyed by most everyone—from new hikers to seasoned pros, from youngsters to old hats. Add in a couple dashes of good trail/wilderness etiquette and common sense and you’re likely guaranteed to have a good time out there. But as you’re still subjecting yourself to the whims of Nature, it’s good to keep your wits about you. Reset your expectations. If you’re an avid summer hiker, you probably have a good idea of what your average trail pace is—as in how many miles you can pound out over so much time and elevation. In winter, bundled up in multiple layers of clothing and traveling over soft and/or slippery surfaces, you need to reevaluate what you can reasonably achieve in adverse conditions. A good way to factor this is to reduce your mileage by half and double your time. (Example: summer = 3 mi/1hr; winter = 1.5mi/2hr) This way you can reasonably guesstimate how long it will take you to do a trail or hike. 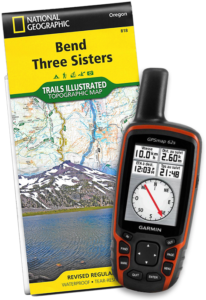 As you hike, monitor your time/distance and modify as needed for your next outing. The Bugle app lets you share your hiking itineraries, and sends alerts when you don’t check in on time. Heed Nature’s warnings. Nature doesn’t care how experienced or trail savvy you are. It is going to do what it does, often with tremendous force. While many incidents in the backcountry are indeed accidents and “acts of God,” a considerable percentage are the result of ignoring warning signs and overconfidence in ability—such as the “I’m a pro,” or “it won’t happen to me” attitude. If the route you’re on deteriorates or enters a hazardous area, turn around. If it looks like a storm is building that could threaten navigation and visibility, turn around. An unplanned and unprepared-for overnight in the winter wilderness is merciless, and often results in tragic headlines. Share your itinerary. Before heading out, tell someone where you’re going—especially if you’re going solo. Tell a family member at home, or call a friend. Let them know where you’re going to hike, the trailhead and trail you plan on using, when you’re going to start and when you expect to finish. Establish a check-in time with your contact to let them know you’re safe, or when they should call for help. Most important, don’t change your itinerary after you’ve established it unless you can communicate this to your contact. If you get into trouble, they won’t be able to help you if they don’t know where you are. There’s no need to be afraid of venturing out onto the trails in winter. Just be prepared, be alert, and practice good judgement. By erring on the side of caution, you are most likely to come back with stories and photos of your adventures worth sharing—and be ready to go out again. Stay safe, and happy hiking! You can find Yaktrax at REI and most outdoor stores.